Welcome to Married Life: Look Who's Trouble! 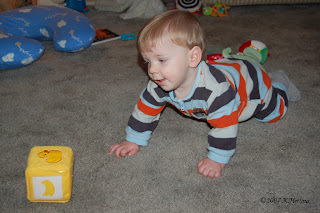 That is such a neat thing to watch - when they start moving around! 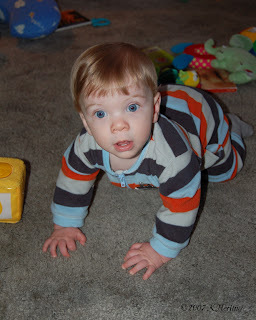 Just started crawling? You might as well give him the keys, because now you've lost control. 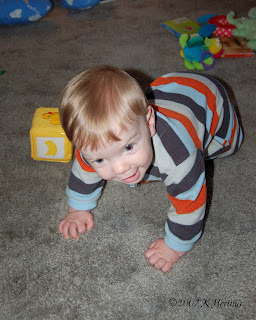 Crawling! Now you will have to do the daily decorating that comes with having a mobile child. 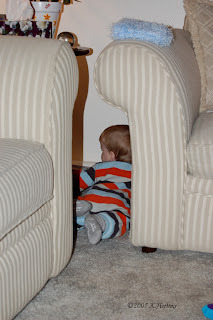 I'm ready to just install shelving up high on every wall, because now that my son is walking he gets into everything! Ah, yes...the Kix on the floor. One of many reasons why we own a dog. She does a great job of cleaning up after the kids. 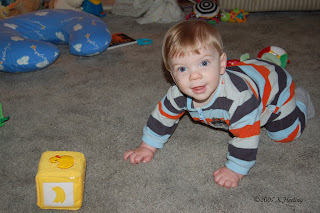 just be glad hes only started crawling now, its no fun when they start moving at 4.5 months!!! seriously, not good. he's such a cutie pie. love those eyes. 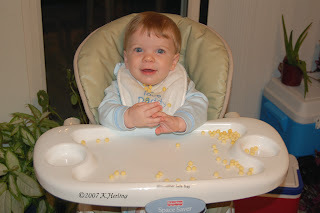 and we have the same highchair, love that thing!! 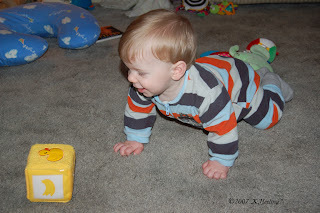 although mine is currently on the floor in the living room so i can feed him while i watch tv -- does that make me a bad mom? ?